Wait, how is it the middle of January already?! With the days whizzing by, it’s a wonder how the beauty world is making sure to keep up with new launches and campaigns. 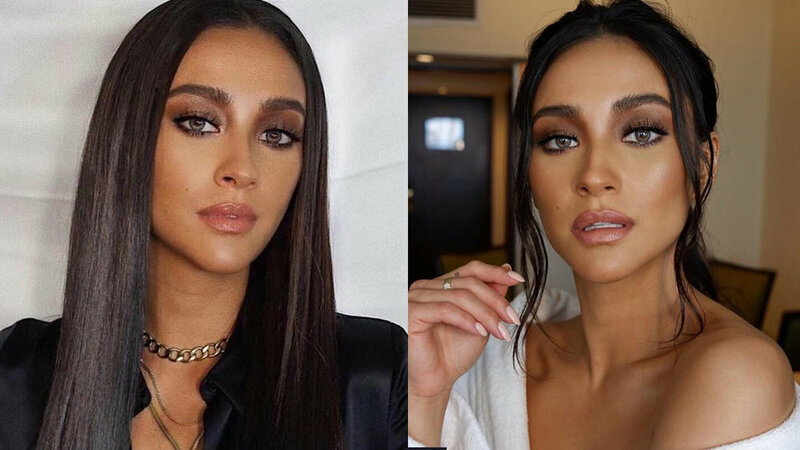 For this week, we’re taking you on a trip down memory lane with an official makeup announcement from Mattel, Lush’s newest eco-friendly skincare, and deets on the local beauty product that Shay Mitchell used for her makeup looks in MNL. We’re also celebrating Benefit’s amazing step towards more inclusive beauty campaigns and the coupon craze taking over Sephora. Happy reading! If you’ve decided to be more eco-conscious with your beauty purchases, LUSH is adding to your list of options! The British brand is known for finding minimize their environmental impact, and they’re now set to launch Naked Skincare - a comprehensive line of skincare products for every need, minus all that packaging and plastic. The line will feature four Solid Facial Oils (Primer, Argan, Banana Skin, and Touch), four Solid Cleansing Balms (Sleepy Face, Tea Totaler, Gritti Politti, and Jade Roller), a Cold Cream (Like a Virgin), a Reusable Cleansing Pad, and a Seaweed Under Eye Mask. The line drops this week with the products expected to range from $2 to $15. We’re definitely curious to try these out! How about you? This has got to be one of the best bit of news we’ve heard in a while! Starting 2019 on the right foot, Benefit Cosmetics is changing the beauty game with their newest campaign featuring model Kate Grant. Now what makes this extra special? Kate is not only an advocate for special needs, but she is a model with Down Syndrome. The 20-year-old Irish beauty is seen sporting a gorgeous winged liner and snatched brows, showcasing her gorgeous face and blonde locks. The internet has been going crazy for this new chapter in inclusivity, and so are we! Great job, Benefit! ICYM, the stars of Netflix’s Original Series YOU dropped by Manila for a series of fan-filled fun. And we have to say, Penn Badgley may have been serving us some “lonely boy no more” smolders, but it was co-actor and Pinay beauty Shay Mitchell who caught our eye with those incredible looks by local makeup artist Robbie Piñera. The actress’s makeup was always so on point, and we are thrilled to discover that aside from all the high-end brands that she used, Robbie used a local product for to create that signature smokey eye! Shay’s amazing eye makeup included the blk Intense Color Liquid Eyeshadow in Gorgeous (P299) for a look that’s warm and sultry without looking too heavy. We’ve been crazy about this liquid shadow since it was released early last year, and we’re so glad it’s finally getting the love it deserves! Pinch us cause it feels like we’re dreaming! The Internet is abuzz as Sephora US has announced that they are now allowing customers to use multiple promo codes for discounts on their orders! Although it’s still being tested as of January 16 (and only applicable in the US, for now) they are setting up a few rules for the happy shoppers that include coupon compatibility (it will indicate whether or not the promo codes/coupons can be used together). Sephora is also working on something special for their Rouge Members! Naturall, we’re excited to see how Sephora will organize this coupon and promo code function, and you can count on us to keep tabs on Sephora PH to see if (and when) this will apply to the Philippines, too! It may be 2019 but we are feeling some serious 90’s vibes up in here! It’s official: Mattel has announced an epic makeup collaboration that has our inner kid screaming! Hot Topic is teaming up with Mattel to launch an official Polly Pocket Makeup Collection! In celebration of Polly’s 30th birthday, the 17-piece collection features products perfectly housed in signature Polly Pocket packaging, complete with plastic pastel hearts and little houses! There’s no word yet on the exact products but trust us when we say we’re beyond excited (and praying for international shipping). Did you love Polly Pocket growing up? Lipstick is the easiest thing to make your face look more polished in under 30 seconds, but wouldn’t it be nice if it could keep up with your busy lifestyle, too? With this in mind, Maybelline wowed the world with their Superstay Matte Ink Liquid Lipsticks, which quickly became best sellers that every beauty lover had to have in their kit. Want more? Maybelline has grown the line with the newly-launched City Edition that adds 14 more shades to the collection! Inspired by the vibrant colors of New York City, these new lippies offer the same long-wear formula that promises up to 16 hours of budge-proof color. They’re now available at all Maybelline counters, so happy swatching!